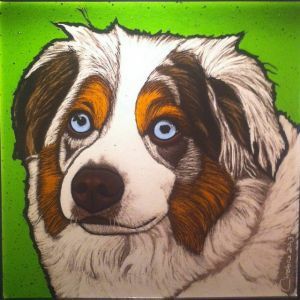 Vitri-Fusáille is a hybrid technique which combines the process of Contemporary Flat Glass Fusing with Traditional Glass Painting. 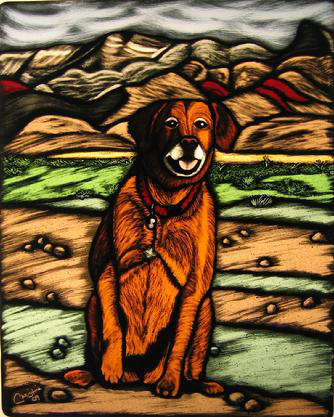 It allows for a degree of immediate and expressive artistry which until recently was never possible in stained glass. I studied under the creator of Vitri-Fusáille, world renowned artist Peter Mcgrain, and have mastered this new art medium. 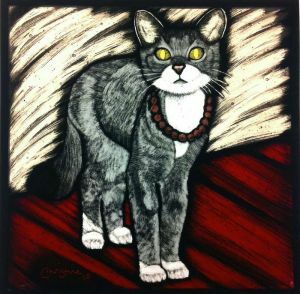 I can achieve the highest level of imagery by utilizing the art of tracing and mating in traditional stained glass painting fired on fused glass, rich in saturated color. 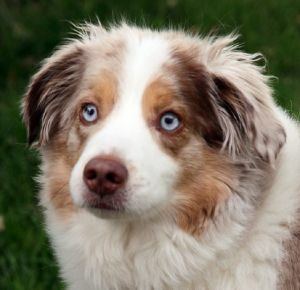 Incredible possibilities exist for capturing your favorite pet, scene, or landscape. Passion is the corner stone of every piece I create in Vitri-Fusáille. For more information on my work click on the link to the featured article in the Las Vegas Sun Newspaper or watch the video of my recent Exhibit at the Summerlin Library Gallery. This is Sylvester, the Vitri-Fusáille glass art piece I created from the photo that I took of him during a walk I had with him at The Elephant Camp in Victoria Falls, Zimbabwe. I had a tremendous connection with him and wanted to create him in glass. At the time I didn’t know that I was creating this piece to honor Sylvester’s legacy. This beloved Cheetah was the wildlife ambassador for the Victoria Falls Wildlife Trust. Sylvester the cheetah was found by a game scout after his mother and siblings were fatally attacked by a male lion. 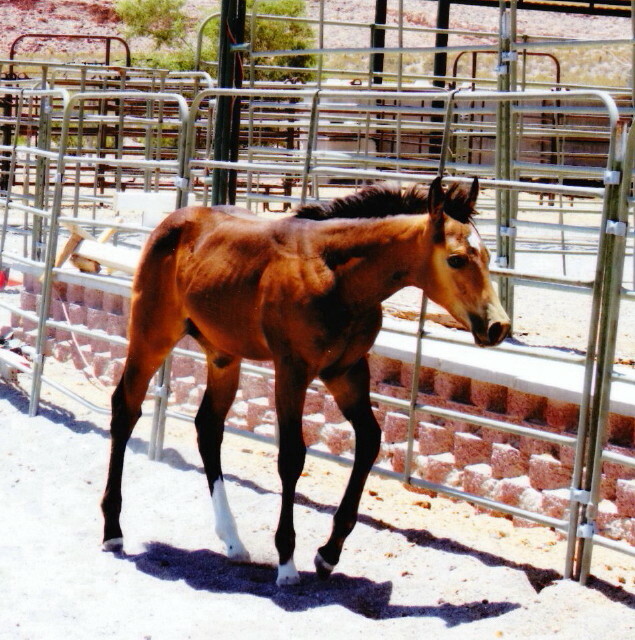 Only two days old, dehydrated and hungry, Sylvester beat the odds and survived. Unfortunately, he could not be released, he imprinted on humans and his mother hadn’t had time to teach him about prey species selection — chasing a buffalo or giraffe calf would likely have gotten him killed. As the pride and joy of Victoria Falls, he earned the title of Ambassador for Conservation Education and was used almost daily to educate students, tourist and rural communities. 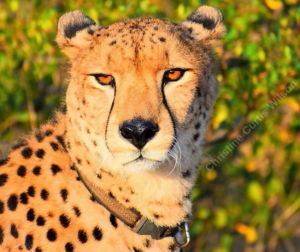 Sylvester, the adored cheetah ambassador, passed away on January 31, 2019 from injuries sustained during a confrontation with a small female leopard. The entire Victoria Falls Wildlife Trust family, including myself, visitors and supporters worldwide, will sorely miss this charismatic friend and companion. He touched thousands of hearts, transformed negative opinions about predators, like cheetahs, into positive ones and inspired us all to embrace and learn more about his amazing species. 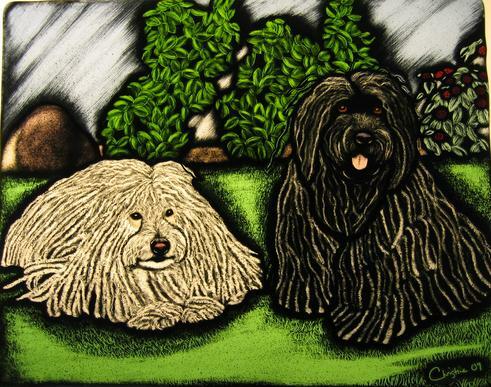 This 14″ x 12″ Vitri-Fusáille glass panel of “Holly & Lennon” received Third Place in the “Gallery of Excellence” at the recent 2011 Bead & Glass Expo in Las Vegas, Nevada. 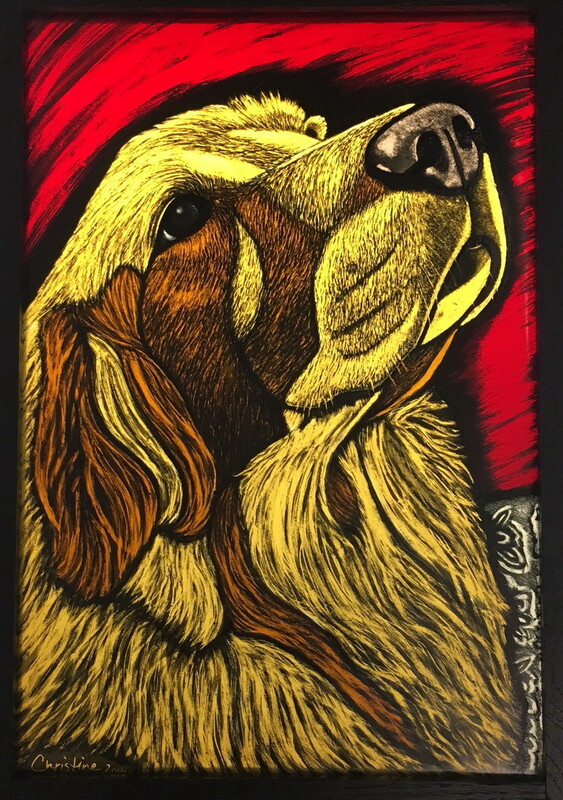 It was commissioned by a repeat client that I created a stained glass panel of “Harley” , the rabbit for a surprise for his wife. 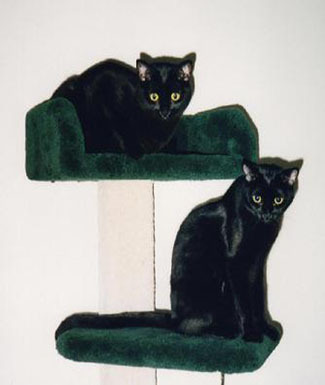 When he saw this technique, he wanted me to create a Vitri-Fusáille glass panel of “Holly and Lennon”, his two black cats. This Vitri-Fusáille panel is framed in a custom hanging light box so they can see it day and night. 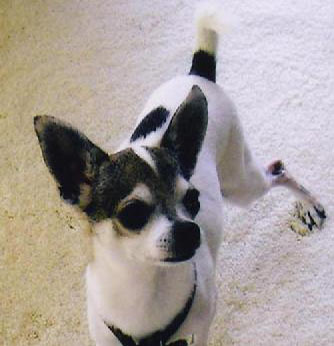 I incorporated a miniature of “Harley” in the background to surprise her again! 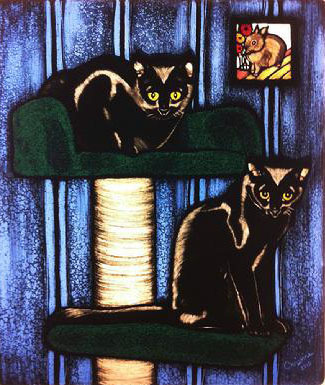 They both absolutely love it and are delighted to have an award winning art piece of his favorite cats as well! 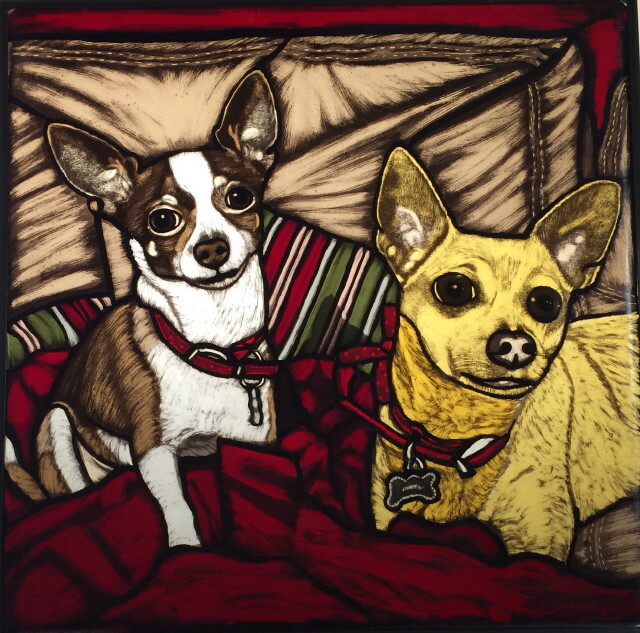 I was commissioned by a client to create a favorite picture of his two Chihuahuas, “Coco & Peanut” in glass. Being very attached to these two, he was deeply moved when he came to pick up the glass art panel as he expressed that they were so life-like and three dimensional that he could reach out and touch them! The 12″ x 12″ Vitri-Fusáille glass panel of “Coco & Peanut” is displayed in a Christine’s Lightbox so it can be seen at all times of day. 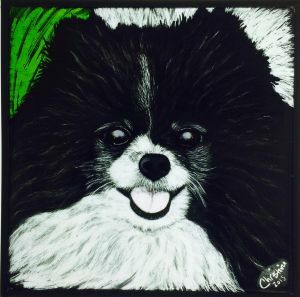 A client commissioned me to create this “8 x 8” Vitri-Fusáille glass panel of “Pandie”, her daughter’s beloved Pomeranian for her birthday. 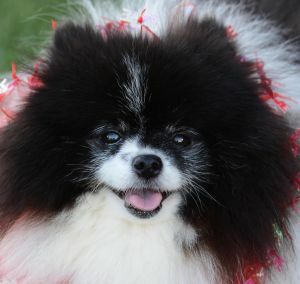 I created a Vitri-Fusáille glass panel of the client’s beloved Pomeranian “Akasha ”8 years ago. Her daughter loved the Vitri-Fusáille glass panel I did of “Akasha” and wanted one of “Pandie”. I received a card from my client which she stated” The “Pandie” piece is beautiful and is already loved!” The Vitri-Fusáille panel is displayed in a Christine’s Lightbox so that she can see it day & night. 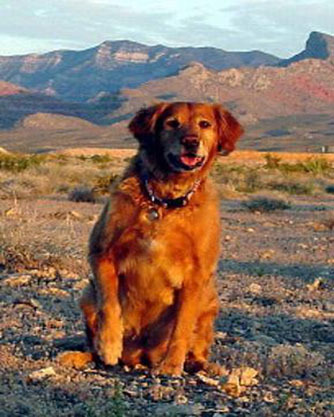 The client commissioned me to create this 15″ x 12″ Vitri-Fusáille glass panel of his beloved golden retriever, “Golda”, out at her favorite place, where she loved to run in the open space of Red Rock Canyon. The client was thrilled as he relayed that I really captured her spirit and personality and and for that he is most grateful. This Vitri-Fusáille panel is framed in a custom hanging light box so it can be lit day and night to bring back good memories of Golda’s presence always. I created this 10” x 10” Vitri-Fusáille glass panel as a surprise for a client’s father’s 80th birthday. He was overjoyed and he raved that it was so lifelike that he couldn’t stop looking at the piece of “Alfred”, his beloved Springer Spaniel! The Vitri-Fusáille panel is displayed in a Christine’s Lightbox so that he can see it day & night. 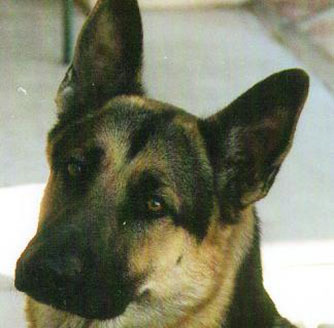 This commissioned Vitri-Fusáille piece is of a client’s German Shepherd, “Barron”. 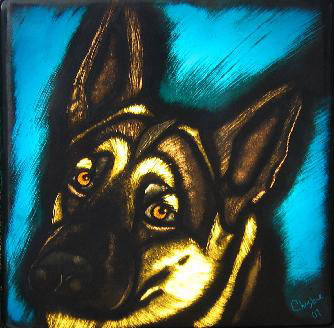 “Barron” is her best friend and she wanted his personality captured in glass. This 10″x 10″ panel is display in a lightbox I created for just him! 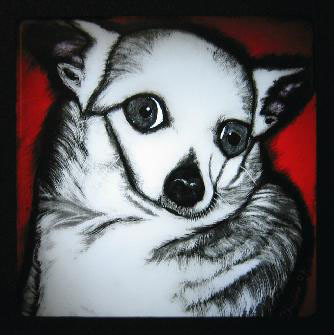 “Bootsie” is an 8″ x 8″ Vitri-Fusáille commissioned glass panel of a client’s beloved Chihuahua. 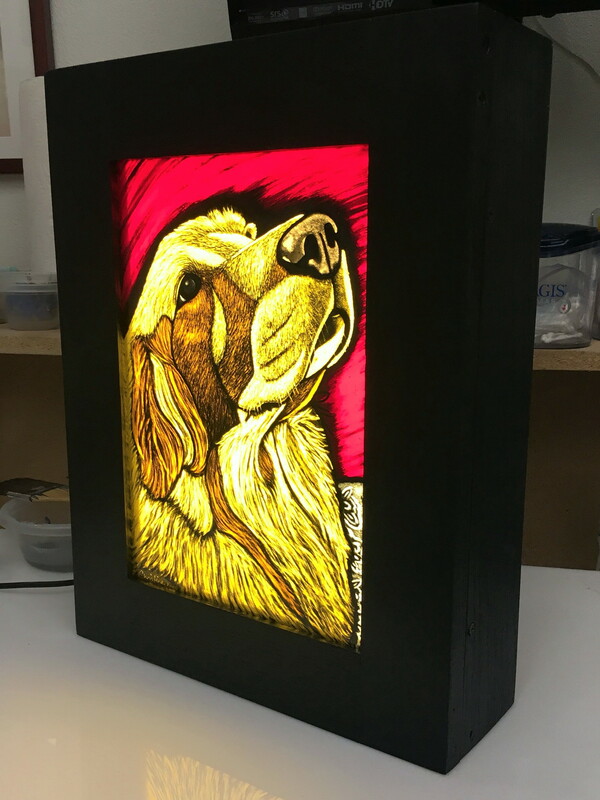 It is displayed in a lightbox I designed for this type of glass art. My client has told me that she can’t wait to go home and see “Bootsie” after work every night! 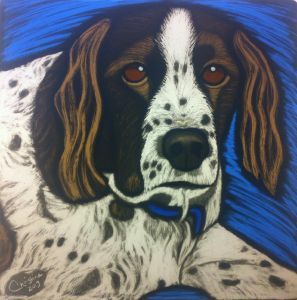 Art Customer reveal – 8″ x 8″ Vitri-Fusáille Custom Stained Glass Art Rusty. 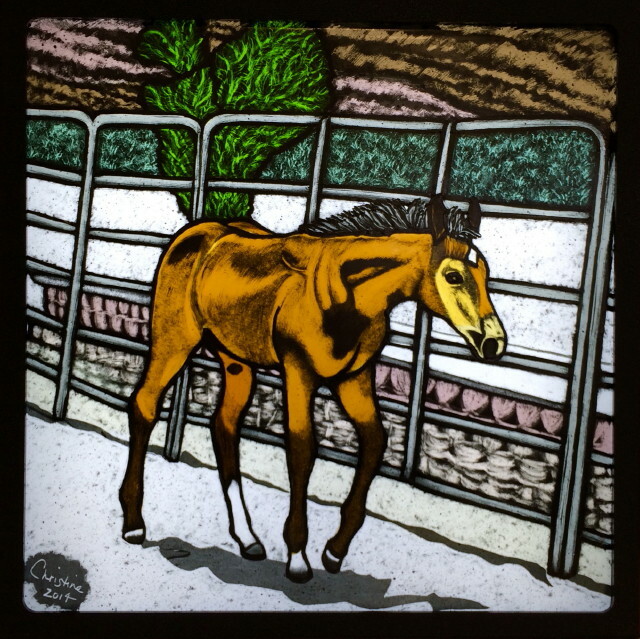 This “12 x 12″ Vitri-Fusáille glass panel is of a client’s daughter’s horse named “Flicka”. I was commissioned to create “Flicka” with the Vitri-Fusáille technique as a surprise for her daughter for Christmas. 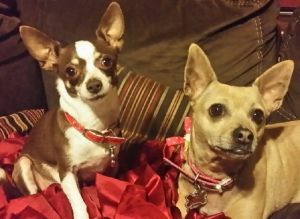 They were thrilled when she opened her gift on Christmas morning and both were profoundly effected by the how I captured Flicka’s true personality and beauty in glass! The Vitri-Fusáille panel is displayed in a Christine’s Lightbox so it can be illuminated day & night. I created this commissioned Vitri-Fusáille glass piece for a client as a surprise for her friend’s birthday. 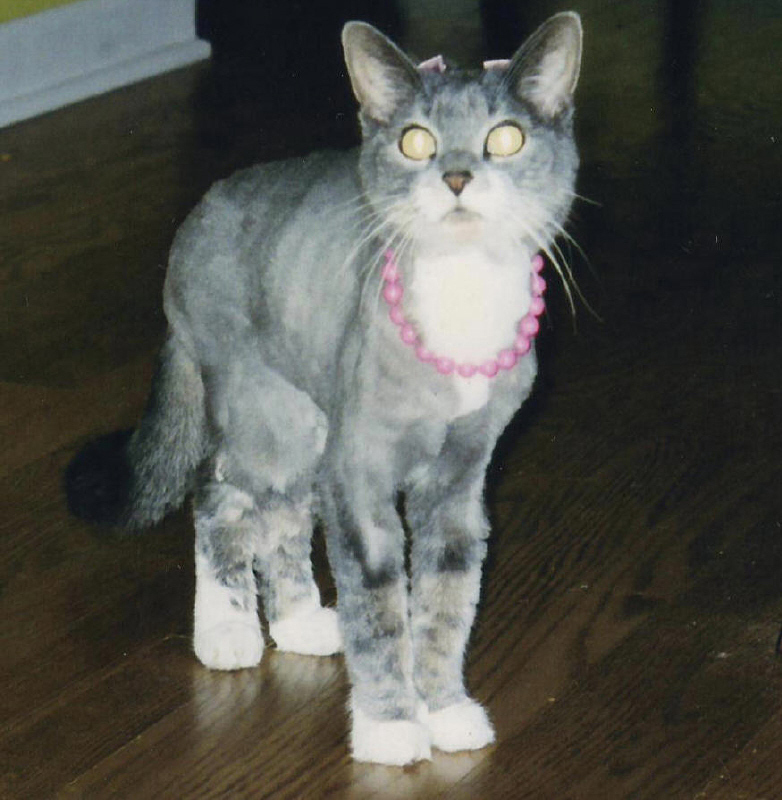 My client said it brought tears to her eyes when she saw her beloved cat, “Kitty” captured in glass. 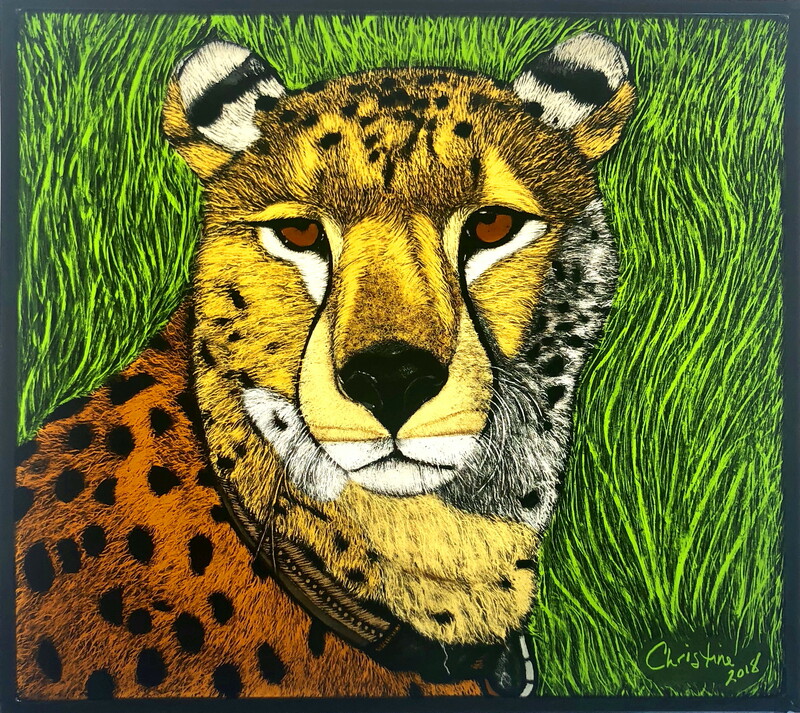 This 8″x 8″ Vitri-Fusáille panel is displayed in a Christine’s Lightbox so it can be seen day & night. 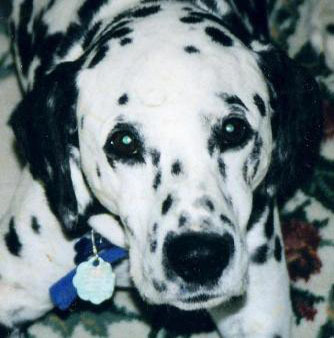 This Vitri-Fusáille art piece is of my beloved Dalmatian, “Domino”. 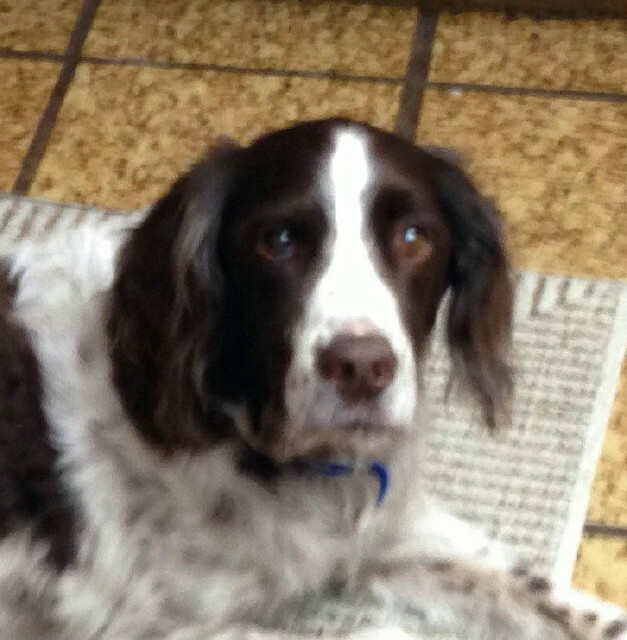 With the Vitri-Fusáille technique, I can capture detailed markings of any type of animal. I can create a Vitri-Fusáille art piece in an 8″ x 8″, 10″ x 10″, 12″ x 12″ or custom size panel. 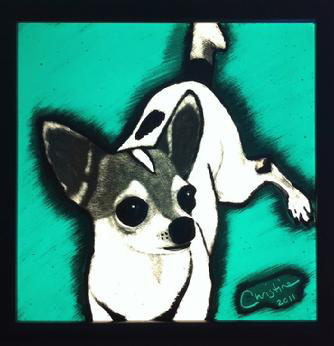 I created this 5″ x 5″ Vitri-Fusáille Panel of “Peanut”, the Chihuahua in “8 ½” x 8 ½” wood frame as a surprise for a client’s friend for her Birthday. My client wanted something small that she could take on a plane as her friend lives in Hawaii. 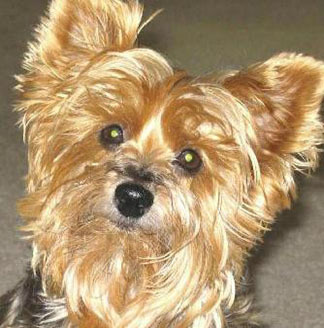 My client’s girlfriend was so happy as she said it looked just like Peanut and she loved it! The Vitri-Fusáille glass Panel of “Peanut” is displayed in a 14″ x 16″ wrought iron stand. To view stand check out my “Hearts & Flowers” web page. 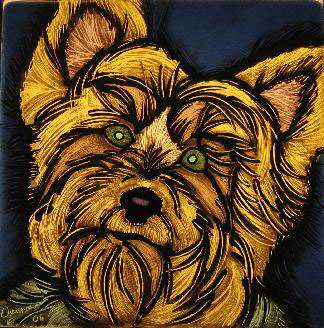 I created this 8″x 8″ Vitri-Fusáille panel from my girlfriend’s favorite picture of her beloved Yorkie, “Lali”. 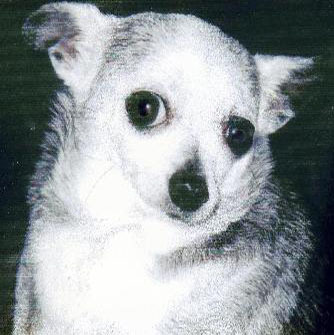 I designed this glass piece to capture the memory of her dearest friend, “Lali”, for life. 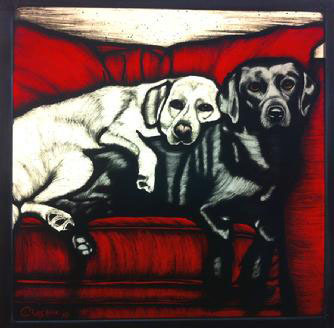 This “8 x 8” Vitri-Fusáille panel is of a Blond & Black Lab named Blondie & Bailey. This was a surprise for a customer’s husband’s birthday. 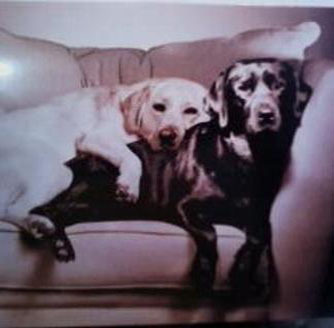 I can create a Vitri-Fusáille Glass Art piece of your of animal(s) from your favorite picture too! The Vitri-Fusáille panel can be displayed either in a light box I designed for this type of glass art or in a rod iron stand. 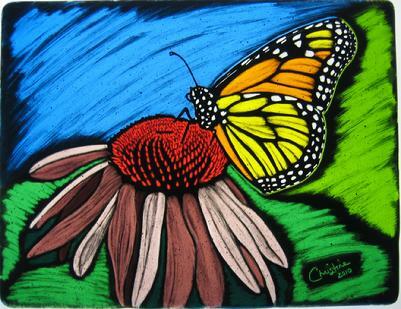 I created this “8 1/2″x 11” Vitri-Fusáille Panel of a Monarch Butterfly to express those peak moments in time of nature & beauty so rare to see, but can be embedded as a memory that can last a lifetime. “Monarch Moment” just recently won an Honorable Mention Award in the 4th Annual Over the Rainbow Art Competition that can be seen at the Windmill Library Gallery in Las Vegas, NV from 6/12/12-8/7/12. 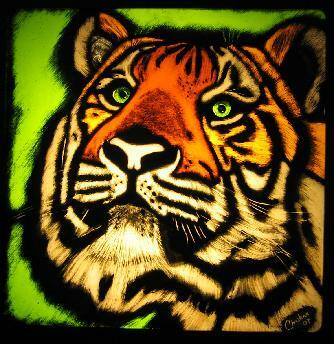 “Alladin” is a Vitri-Fusáille panel I created of a tiger at “Keepers of the Wild ” Nature Park. 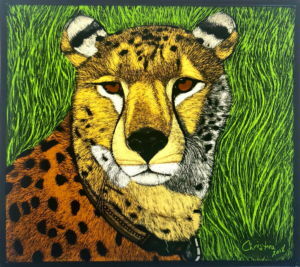 “Keepers of the Wild ” is dedicated to the dignified rescue of exotic animals. 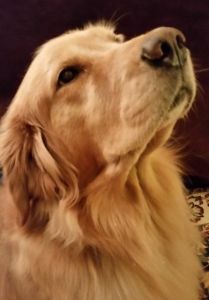 I can capture the essence of variety of animals with the Vitri-Fusáille technique. 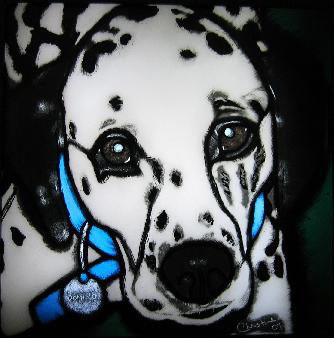 This 10″ x 10″ Vitri-Fusáille panel is displayed in a light box I designed for this type of glass art. This Vitri-Fusaille piece was apart of my Exhibit at the Enterprise Library Gallery in Las Vegas, NV from 9/15/09-11/15/09. 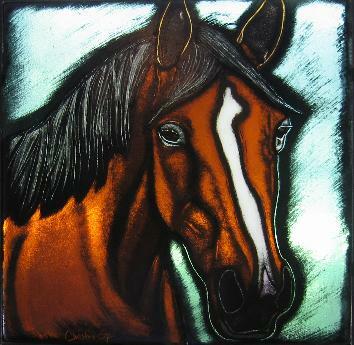 This “12 x 12” Vitri-Fusáille glass panel is of my childhood horse named “Surprise”. It was shown at jbs Environments at the World Market Center in Las Vegas, Nevada. I can create a Vitri-Fusáille Glass Panel of your cherished horse or any animal from your favorite picture too! The Vitri-Fusáille panel can be displayed either in a light box I designed for this type of glass art or on a rod iron stand. 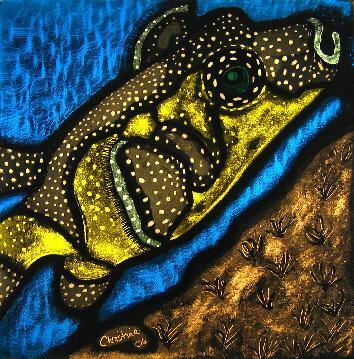 I discovered this polka-dotted Guinea Fowl Puffer Fish diving off the Island of Granito de Oro in Panama. I really wanted to capture the markings of the puffer fish in glass and the Vitri-Fusáille technique gave me the ability to do just that! This 10″x10″ panel, including stand was recently shown at the Garys Island Home Store at Fashion Island in Newport Beach, CA. “Bernie in Belize” is a seahorse that I photographed while on a dive trip to Belize. I discovered it in the lagoon at St. George’s Caye Resort. 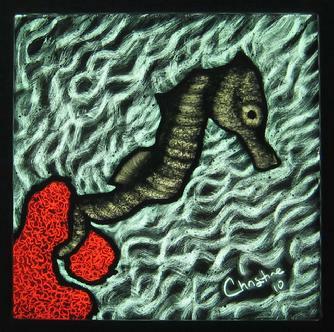 I loved the seahorse so much that a wanted to create it in glass! “Bernie in Belize” is a “8 1/2″ x 8 1/2″ Vitri-Fusáille Framed Glass Panel which can be hung on it’s own in a window or display in a 14″ x 16” wrought iron stand. To view stand check out my “Hearts & Flowers” webpage.